At first, I liked running because it got me into a routine and gave me a chance to think. Eventually, I realized this is my therapy, my time to make sense out of life. Most people can’t handle adversity. Simply by not quitting, you’ll succeed. Running is the greatest metaphor for life because you get out of it what you put into it. To get to the finish line you’ll have to try lots of different paths. NEW Programs: I have had a few ladies ask about the Learn to Run Programs and when they will be starting. With the current colder temps and dark nights, we rarely have ladies who WANT to start programs at this time of year! That being said, new 5km and 10km programs generally begin right after March Break which prep you for May 5 km and 10km races. If you are wanting to do longer distances in May, the time to get your 10km base is now! Check out the heading “Training Groups/Upcoming Races” to see what’s coming up and who has signed up for races. Swimming: Just an FYI for anyone who is interested – Jo and I are swimming at QEP pool on Friday mornings at 10:00am. Remember to pack your goggles, cap, towel, flip flops, shampoo, conditioner, and everything else you need to make a clean getaway! 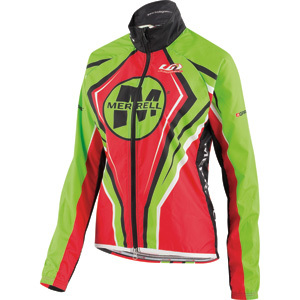 Jackets: The ball is rolling and I am arranging to get a sample kit from Louis Garneau with two styles and various sizes for you to try on. Once I have them, I will host a “try on” evening complete with refreshments (wine) and snacks. We can also chat about goals/races for the year at that time. I will be using one of their graphic artists to come up with a design and will get a consensus from the group before I sign off on the final design. It will be eye catching but not too flashy!! 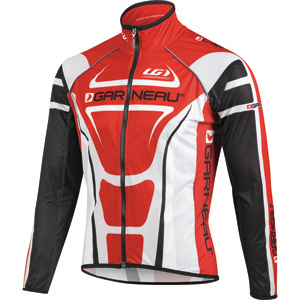 Instead of heat press or screen printing Louis Garneau uses sublimation – where the design is woven into the fabric. Price point is 99 -130.00 depending on quantities. Minimum order is 12. Quotes from 2014 Runner’s World Daily Calendar: 1) If you want to run with faster runners now and then, rest the day before as a “mini taper”. Then treat the workout almost like a race. Warn up before they arrive, then go for it. 2) Co-ordinate with your spouse or partner, especially on weekends. Don’t wait til Sunday to announce that you plan to run all morning. Learn to Run 10km begins Feb 28th from 5km base.